Tent campers can choose from 25 woodland sites or 50 sheltered and open oceanfront campsites that, we have been told, are some of the finest on the Atlantic Coast. For this season's rates check out our rates page. The campground features free hot showers, flush toilets and a large swimming pool. We also have a dumping station that's available for a small fee of $10. Seasonal ocean view sites available. For RV campers, the park has 65 serviced and semi-serviced sites able to accommodate trailers and RVs up to 30 feet in length. For this seasons rates check out our rates page. The campground features free hot showers, flush toilets and a large swimming pool. We also have a dumping station available for the over night guests not reserving a 3 way site for a small fee of $10 (not a public dump station). Seasonal ocean view sites available. 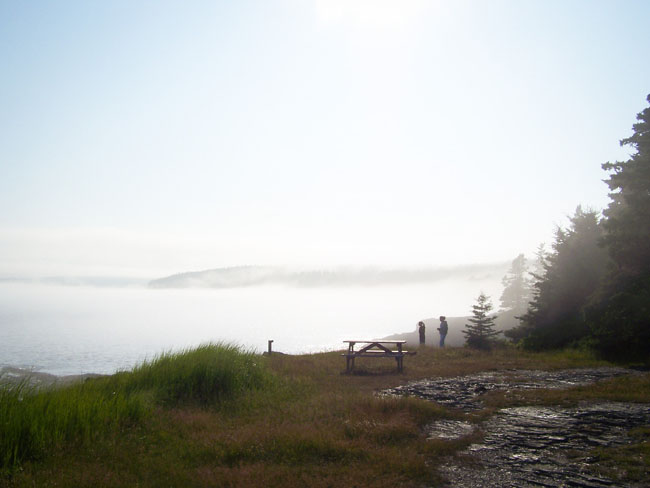 75 Sites on Nova Scotia's beautiful coast! Campers and park guests must practice waste sorting and recycling, besides keeping the earth tidy and green, it must be done in accordance with provincial and municipal regulations. Any questions please ask park staff, and they will be happy to give you the necessary info. There are bins placed throughout the park for your convenience. Please do NOT leave garbage on your site and please do NOT put your garbage in the dumpsters, all garbage needs to be sorted. Also please note, we are unable to accept or recycle disposable propane canisters and cylinders, or batteries. Please take them with you when you leave the park.